Part #: K160052. Warranty Type: Manufacturer Warranty. WARRANTYWarranty Duration: Other. No local pickup option available. 2005-2006 PONTIAC PURSUIT. Struts and Shocks. 2008 PONTIAC G5. Position: FRONT LEFT,FRONT RIGHT. 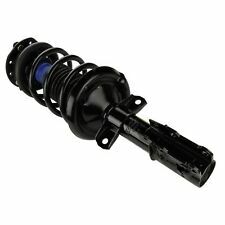 186-ST8597L FRONT LEFT Suspension Strut and Coil Spring Assembly X1. 186-ST8597R FRONT RIGHT Suspension Strut and Coil Spring Assembly X1. Part Number: ST8597L. Position: Front Left. Feature 3 : Lower mounting hardware included for ease of installation and a thorough repair. Family owned and operated. To confirm that this part fits your vehicle, enter your vehicle's Year, Make, Model, Trim and Engine in theCompatibility Table. Part Number: ST8597R. Position: Front Right. Feature 3 : Lower mounting hardware included for ease of installation and a thorough repair. To confirm that this part fits your vehicle, enter your vehicle's Year, Make, Model, Trim and Engine in theCompatibility Table. Part #: ST8597L. No local pickup option available. WARRANTYWarranty Duration: Other. Part #: ST8597R. No local pickup option available. WARRANTYWarranty Duration: Other. Part Number: K160052. Position: Front. To confirm that this part fits your vehicle, enter your vehicle's Year, Make, Model, Trim and Engine in theCompatibility Table. The engine types may include 2.0L 122Cu. 2006 Chevrolet HHR. 2007 Chevrolet HHR LT. 2007 Chevrolet HHR LT Panel. 2007 Chevrolet HHR LS. 2008 Chevrolet HHR LT. 2008 Chevrolet HHR LS Panel. 2008 Chevrolet HHR LS. 2008 Chevrolet HHR SS. Part Number: K160052. Professional technicians trust and value Moog because of our reputation for solving problems. And for more than 40 years- every NASCAR Cup champion has relied on Moog ball joints for performance and durability. Part Number: ST8597L. JSM Auto Parts is a one stop source for all of your automotive needs. If a manufacturer provides a warranty in excess of 1 year, we do honor the manufacturer's warranty. That section provides detailed information about the part and compatible vehicles. Part Number: ST8597R. JSM Auto Parts is a one stop source for all of your automotive needs. If a manufacturer provides a warranty in excess of 1 year, we do honor the manufacturer's warranty. That section provides detailed information about the part and compatible vehicles. Part Number: ST8597L. Position: Front Left. You need to MOUSE OVER the left column to read the complete text. Feature 3 : Lower mounting hardware included for ease of installation and a thorough repair. Part Number: ST8597R. Position: Front Right. You need to MOUSE OVER the left column to read the complete text. Feature 3 : Lower mounting hardware included for ease of installation and a thorough repair. Part #: ST8597L. Professional technicians trust and value Moog because of our reputation for solving problems. And for more than 40 years- every NASCAR Cup champion has relied on Moog ball joints for performance and durability. 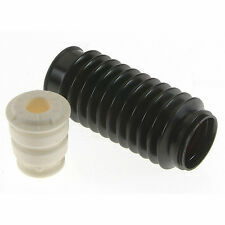 Part Number: ST8597L. Our administrative offices are located in Union, New Jersey and distribution facilities are located throughout the US. The item specifics section also contains important details. Part Number: ST8597L. For over 40 years, every NASCAR Cup champion has relied on Moog Suspension Parts for performance and durability. Position: Front Left. Feature 3 : Lower mounting hardware included for ease of installation and a thorough repair. Part Number: ST8597R. Our administrative offices are located in Union, New Jersey and distribution facilities are located throughout the US. The item specifics section also contains important details. Part #: K160052. Professional technicians trust and value Moog because of our reputation for solving problems. And for more than 40 years- every NASCAR Cup champion has relied on Moog ball joints for performance and durability. Part Number: K160052. Position: Front. The engine types may include 2.0L 122Cu. l4 FLEX DOHC Naturally Aspirated, 2.2L 2189CC 134Cu. l4 GAS DOHC Naturally Aspirated, 2.2L 2198CC 134Cu. l4 GAS DOHC Naturally Aspirated, 2.4L 145Cu.